Jeffrey D. Sherman, MBA, FCSI, FCA, has over 25 years business experience as chief financial officer and as an author, lecturer and professor focussing on corporate finance. Mr. Sherman has lectured and conducted seminars on topics such as corporate governance, internal control, treasury and derivatives, advanced accounting issues, cash management, and risk management. He has presented to many different organizations including the Treasury Management Association of Canada, Canadian Bar Association, Law Society of Upper Canada, CPA Ontario, Canadian Management Association, Infonex, Insight, Acumen, CPA Nova Scotia, CPA BC, CPA organizations in nine provinces all together. Mr. Sherman?s interests include corporate governance, risk management and internal control, restructuring and start-up enterprises. He has lectured and conducted seminars for many organizations, including executive development programs for executives and CFOs, was an adjunct professor at York University in Toronto, and has written many magazine articles on finance and treasury. 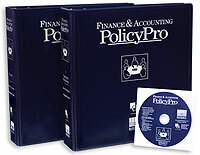 Mr. Sherman has written 21 books including: Finance and Accounting PolicyPro, Information Technology PolicyPro (guides to governance and internal control, co-published by the Canadian Institute of Chartered Accountants), and Canadian Treasury Management, Canadian Risk Management, and Financial Instruments: A Guide for Financial Managers. His most recent book is the Cash Management Toolkit for Small and Medium Businesses. A Guide for Financial Managers.